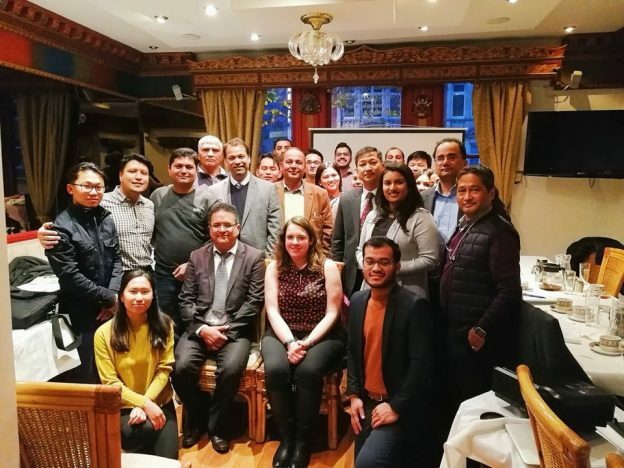 The Society of Nepalese Engineers in UK (SONEUK) successfully organised a valuable talk program at The Mall, Monty’s Tandoori, Ealing Broadway on 24th November 2018. 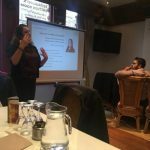 The program was conducted by SONEUK executive member and event coordinator Ms Pooja Bhagat. 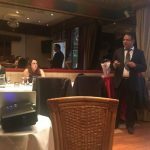 Started with a warm welcome speech of the Chairman of SONEUK, the program was mainly focussed at helping and supporting SONEUK members both early career and experienced engineers to get chartership through Institution of Engineers (ICE). 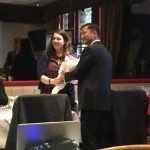 Membership Development Officer (MDO, Surrey) at ICE, Mrs Kate Harrison CEng MICE and One of the SONEUK members and Supervising Civil Engineer (SCE) at Highways England, Mr Laxman Ghimire CEng MICE, MCIHT interactively delivered the programme sharing detailed information on various routes that are pertinent to the professional development reviews to get the Chartership. 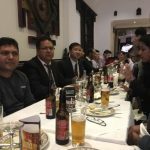 Mr Laxman Ghimire said he would be happy to mentor any SONEUK member for the chartership, at various stages of membership route; and similarly, Mrs Harrison advised SONEUK engineers who do not have SCE and mentor support within the company to contact Mr Laxman Ghimire or herself to find someone to help. 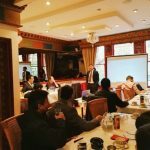 An encouraging presence of 25 participants including former chairman, advisors and members of executive committees had made the event very lively and interactive. 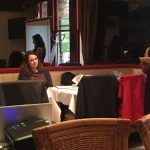 The event was split into two sessions with a classical Nepalese cuisine in the middle. 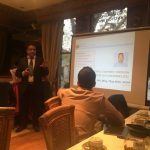 The program was concluded with very positive feedbacks from participants as being very useful and inspiring in that being a chartered engineer (CEng) is every engineer’s dream and the talk has exactly focussed on various ways of getting chartership that would suit the varied situations. 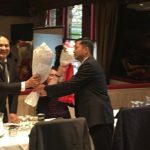 Mr Shailendra Kajee Shrestha, chairman of the SONEUK, also presented flowers and mementos to the speakers. He thanked both the speakers and all the participants for taking their time and effort to contribute and participate. 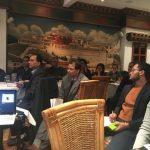 Mr Shailendra also assured that similar events will be organised in the future as well so that its members would be benefitted.